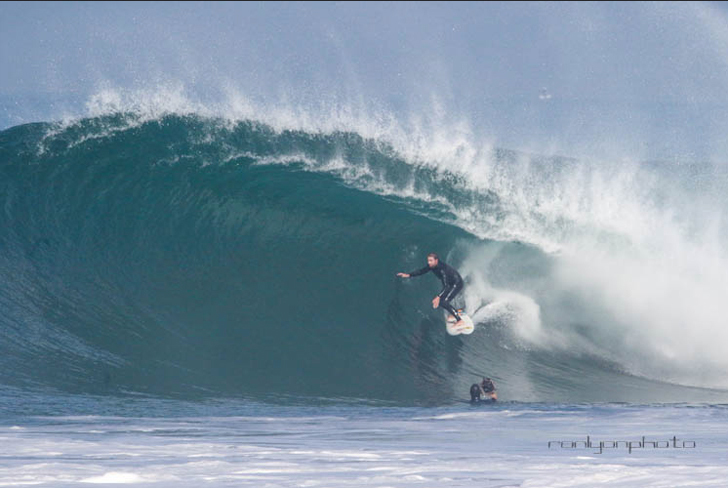 The Biggest Wave of the Winter Contest is already seeing some serious contenders and it’s only December 21st! For Monday morning we will see another NW ground swell rumble into town. This energy will move in from a 295-310 degree angle, (16 second intervals), and fill in through the day. The top spots should see chest high + sets early and get up to head high to OH later in the morning. The conditions look good with 1-3 MPH offshore breezes until noon, (slightly stronger below passes and canyons), and 5-7 MPH out of the West in the afternoon. The air temp tops out 65 degrees. For Tuesday, Christmas morning we’ll see that NW ground swell dish up head high to OH + sets for the better West facing breaks from a 295-310 degree angle and 15-16 second intervals. That energy will be coupled with some short interval NW wind swell from 310 degrees. It looks like Santa has called for a stiff onshore wind scenario throughout the day and based on todays wind model it will be pretty blown out and choppy all day! 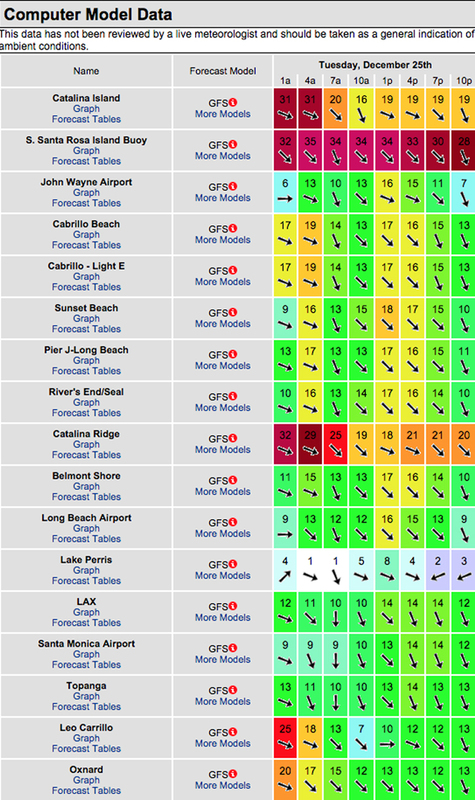 The conditions look poor… See todays wind model run below. The air temp dips to 63 degrees. For Wednesday morning things might be okay if the ocean surface cleans up overnight. The top West facing breaks will see a combo of the NW energy that should dish up head high to OH sets, (possibly even larger at the top spots). The conditions look like could improve dramatically with N/NNE winds in the 2-4 MPH range until noon and 3-6 out of the SW in the afternoon. The air temp holds at 63 degrees. For Thursday morning it looks like we’ll see continued NW energy in the Head High to OH range for the best West facing breaks. The conditions look to be great early with variable easterly breezes at 1-5 MPH until noon and blustery, 7-20 MPH onshore winds in the afternoon. The air temp holds at 63 degrees. For Friday morning we’ll see leftover Head High + surf out of the NW. The conditions look excellent with NE/NNE breezes at 7-18 MPH all day long. The air temp tops out at 61 degrees. Water temps are as follows, (day of 4CAST update) and are as follows: Malibu 62 Santa Monica 62 South Bay 62, Huntington 59, Newport 62. The next 4CAST will be posted on Wednesday! Happy Holidays!